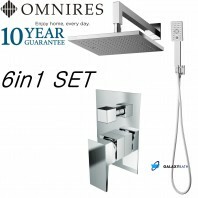 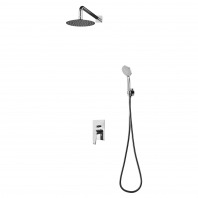 Designer style meets showering luxury! 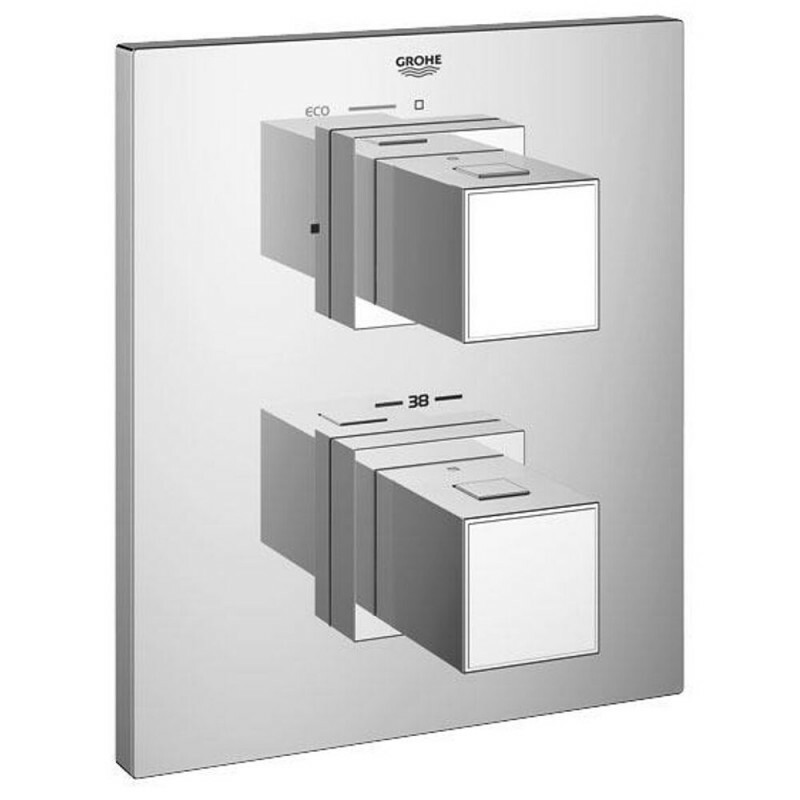 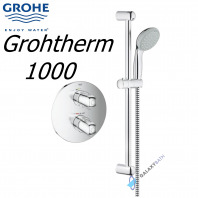 With its generous Rainshower 230mm head shower and Euphoria Cube hand shower, the Grohtherm Cube Perfect shower set delivers top performance and great value. 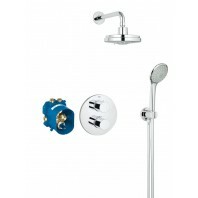 As the pipework is hidden in the wall, this concealed shower with a square wall escutcheon is perfect for anyone who loves a minimalist bathroom. 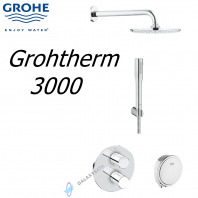 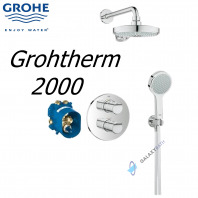 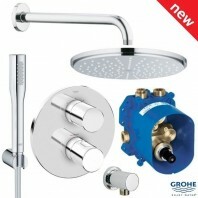 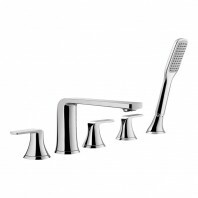 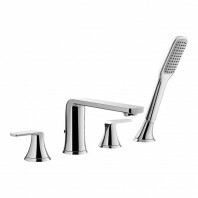 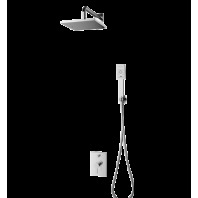 It is also packed with GROHE’s cutting edge technology. 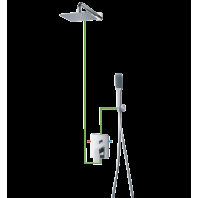 In an instant TurboStat® delivers constant water at your desired temperature and DreamSpray® ensures the flow of water from every nozzle is perfectly even. 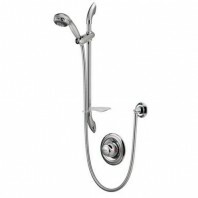 It’s versatile, too, as the head shower has a soothing PureRain Spray while the hand shower offers a powerful and revitalising Normal Spray. 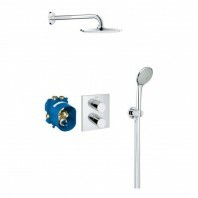 With handy silicone SpeedClean nozzles, the showers are also quick to keep free of dirt and limescale! 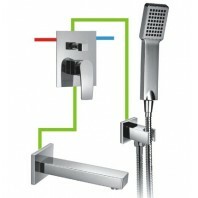 And our adjustable SafeStop feature prevents users – especially children – from turning on water that’s too hot. 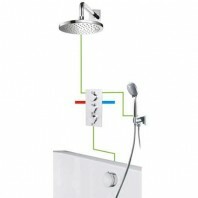 EcoJoy® technology cuts water usage by up to 40% without any drop in performance but saving you money! 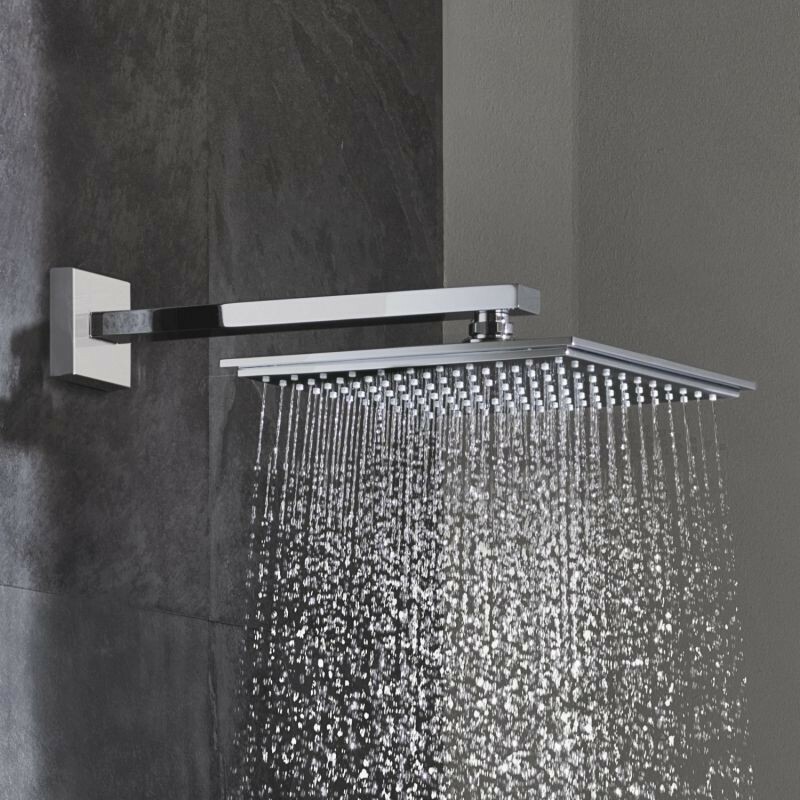 The multilayered coating of scratch resistant StarLight® chrome has a sparkle that lasts for years, especially as the InnerWater Guide prevents the surface of the shower from getting hot.